Whether you’re a keen royalist, professional suits binge watcher, or - like the entirety of the world - you’re (understandably) avidly dying over Meghan’s minimal ‘no makeup’ makeup look, it’s no secret. Markle’s really conquering the world. From the headlines of news articles to the peak of our juicy dinner discussions. And we’re not mad about it. In an interview with 'Hello Magazine', Meghan’s former makeup artist, Lydia Sellers, has been giving us the rundown on the secrets behind Meghan’s dewy, natural make up. The one I'm going to be talking about today, Meghan actually recommended to Sellers (who now relies on it whole heartedly) - Meghan's 'can't live without' drugstore, easily accessible mascara. Common knowledge: beauty enthusiasts just have to jump on that hype. So, when most celebrities share their beloved beauty products with the world...well, it's a prime culprit for bankruptcy. Wildly available? £6? Royal lashes? Urmmm...YES PLEASE. So, I got it. Tested it. And here's what I think. Wow, okay, where to start? Within one single swipe of this mascara it gave me the results of two-three coats of regular mascara - but better. I'm talking lengthening, instant volume (without the clumps) and insane pigmentation (the definition of an 'intense black mascara'). My lashes also really enjoyed soaking in the moisture due to its oil blend. My only advise would be to not overdo it with this one. One coat is more than enough. Trust me. It all began with a camera and a dream. Since 2012, Bibi ( Beauty blogger from Cologne) has been devoting her life to sharing her love and passion for the beauty industry. Just two years later the German beauty blogger took her passion and knowledge for beauty and materialised it into bodily form for all of us beauty enthusiasts to avidly squeal over. you may say, this concept applies for Bilou. Think about it this way. 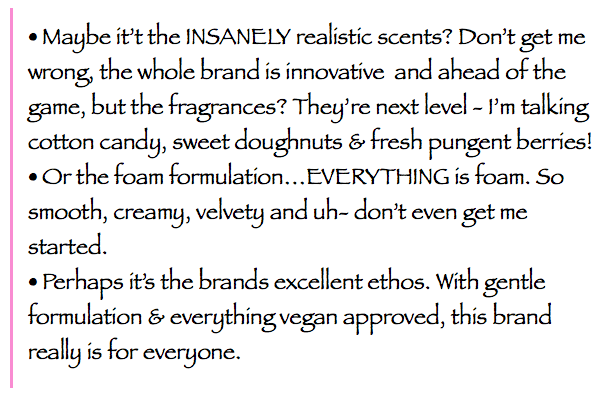 Would you rather have loads of mediocre, "uh- It's okayyy" kind of products or a more confined number of "I need you in my life" type of products? I think I know which on I'd opt for... The product range is narrow; but it's one of the best. So, what does make these so different to other competitors on the market? As you can see above, my first Bilou purchases were the 'Tasty donut' and 'Fizzy Berry' shower foams and the 'Cotton Candy' gentle cream foam (foam lotion). My first impression was that these are super nourishing and packed with moisture. Second thoughts evolved around how incredibly Insta - worthy these are (which talking of, you can go follow mine @lilylovesx, cheeky promo). Considering I don't live in the city, I come to London relatively often and if there's one place I drift to the most then it's unmistakably Oxford Circus - the home of shopping. Wait, let me re-prhase that, the home of Topshop. In other words, the place that gets me every time. So, put me into the world's biggest Topshop and...well, it's going to do some damage. If you haven't yet visited the flagship Topshop then I can confidently say that you haven't seen the REAL Topshop. Okay, maybe that's a bit dramatic but the Oxford Street store without fail mirrors Topshop's aesthetic and vibe with it's towering stock of innovative designs and latest trends. It's kinda ironic because although this queen of Topshop is most unquestionably a shop, it almost doesn't feel like one. It's more like an industrial fashion and beauty wonderland (with Photo Booths, nail, hair and cupcake stools around every corner). Think a nail and brow bar, hair parlour, cupcake stand and multiple other stools is extra enough? Check out the photo below. Sorry this post is so short but I've bought quite a few things this past weekend so a haul/reviews should up soon! Ahhh. The outside - how wonderful. Or at least that would be our sheer outlook of the uplifting open air if duvets, hot chocolate and Netflix were non existent. Besides the hundreds of health benefits we repeatedly hear nature has to offer, there are actually a couple of blogging related benefits that may just be worth getting outside for. Nature is paramount to creativity. If you’re inside trying to write a blogpost or get some work done whilst you’re straining for ideas and squinting at your screen...it’s not going to be easy. Being outside will free your creativity from captivity. The open air is also a vessel to success for you photo takers out there. Not only is there potential picturesque scenery but moreover, there is natural lighting - any photographers best friend. Even with the utmost of brightening adjustments and editing apps, nothing can displace natural lighting. Distracted? Unmotivated? Stressed? Get outside. This will regain your focus. Restore your motivation. Reduce your stress. In the words of Sir David Attenborough, nature 'is the greatest source of so much in life that makes life worth living'. Yep. You read that right. Boston cream pie cupcakes. What have I been missing out on for the entirety of my life? Ever since I stumbled across this recipe from lifeloveandsugar.com, I've been avidly revisiting the page in awe at the dreamy vanilla cupcakes with pastry filling and creamy chocolate ganache. After yearning over the palatable treats for an unnecessary amount of time, I came to the realisation that they weren't going to magically appear on my placemat - the cold hard truth. I followed the below vanilla cupcake recipe from lifeloveandsugar.com which gave me a total of 18 golden springy cupcakes. However, I found the traditional pastry filling making process a little intimidating so I reverted to Nigella Lawson's (as equally wonderful) custard butter cream filling recipe, in addition to her scrumptious chocolate icing recipe. 1. Preheat oven to 180 degrees Celsius fan. 2.Cream butter and sugar in bowl until pale in colour and light in consistency. 3.Add and combine vanilla extract and sour cream to the mixture. 4. Next, add the egg whites and mix well. 5. 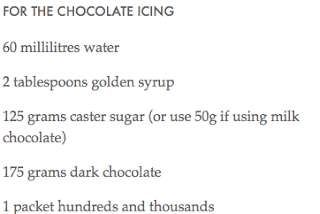 In a separate bowl, combine the dry ingredients together and in a measuring jug, combine the water and milk. 6.Add half of the dry ingredient to the mixture and stir well. Then pour in the milk and water and the rest of the dry ingredients and mix well. 7. Put mixture into the cupcake cases. 8. Bake for around 15 minute until the cakes are golden brown. 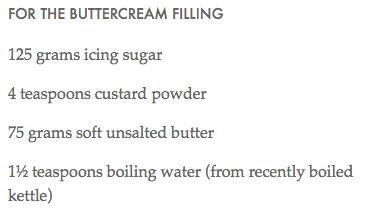 The directions on how to make the custard butter cream and chocolate icing are over on Nigella Lawson's recipe. Ugh. Where do I start? I think it's safe to say I could devour these in a worrying amount of time - they went down a treat. It may be because I struggle with the basic baking algorithm or the fact that I avoided using an electric whisk, but I did find these quite a time consuming bake. Nonetheless, this is certainly a bake that I wouldn't shy away from. Well done, Boston Cream cupcakes. You did me proud. Have you tried Boston Cream Pie Cupcakes/ what did you think?